Grant was never an easy kid. From the time he was a six-month-old refusing to sleep in his crib, I knew I had my work cut out for me. The pediatrician told me to just leave him alone in his room and let him cry, and eventually he would fall asleep. That may have worked with other babies, but Grant always found a way to escalate the situation, crying louder and louder for up to six hours at a time until I couldn’t take it anymore. The one thing Grant always loved was being a big brother. Bryce was born when Grant was just one year old. When Grant came to the hospital to meet his new brother for the first time, he suddenly looked so big. Really, he was still just a baby himself. But Grant took one look at Bryce sleeping in his little bassinet and handed him his beloved pacifier as a welcome gift. My heart just about melted. Once we brought Bryce home, Grant’s challenges became more apparent. Bryce had a calm, easygoing disposition. Instead of escalating things, Bryce always found a way to make life easier for everyone around him. The differences between the two of them were the first sign that Grant needed extra help. The years that followed were tumultuous in every possible way. As I shuttled Grant from one expert to the next, receiving multiple conflicting diagnoses, my husband, John, and I decided to divorce. He is a wonderful father and a good, kind man, but he and I were simply not a good match for each other. Though we were determined to keep our split amicable for the boys’ sake, this unfortunately didn’t always seem possible. We fought over everything from custody of the boys to the house to the proper diagnosis and treatment for Grant. I tried my hardest to shield the boys from these arguments, but I constantly worried that the conflict was having an impact on them. Maybe I was making the wrong decision by getting a divorce. Perhaps I should have just stayed with their dad for their sakes. When I wasn’t worrying about Grant, who was really putting me through the wringer with his bad behavior, these doubts often kept me up at night. Of course, there were plenty of good times, too. Grant remained a loyal and proud big brother. He and Bryce were very different, but they connected over their mutual love of nature. We spent many of our weekends at Joshua Tree National Park, and I loved watching Grant teach Bryce about plants and animals as they dug in the ground and explored. We eventually settled on a diagnosis of bipolar disorder for Grant and stabilized him through a combination of medication, supplements, and nutrition, but we still couldn’t seem to find the right school for him. His outbursts and issues with authority kept getting him expelled. Even worse, he had no friends and took all of his anger and frustration out on Bryce, who responded by locking himself in his room and shutting the rest of us out. I felt constantly torn in two. When I was at work, I was worrying about the boys and feeling guilty for being away from them. When I was with the boys, I was stressing out about money and feeling guilty for not pushing harder in my career. At the end of the day, I was just feeling guilty, period. After spending many years working as a trainer and nutritionist, I began developing nutrition protocols with doctors. These protocols not only helped countless patients but also helped Grant. Through food intolerance testing that I conducted in the doctors’ offices, I found that seven foods were often the culprits behind a wide variety of symptoms, including weight gain and mood swings. Removing these reactive foods from Grant’s diet helped improve his condition even more. Specific foods had a more obvious impact on Grant’s brain than on those of other kids. Whenever he ate one of the wrong foods, especially sugar, an outburst would soon follow. I saw it as a gift that his body was talking to me through his mood swings, and I knew that this information could be life-changing for many people. Our divorce was at last final, and the lawyers’ fees had left me nearly bankrupt when I met a literary agent who had the idea to sell my book about food intolerance. She shared my vision, and when a publisher bought that book, The Virgin Diet, I knew this was my one chance to get the word out in a big way. I spent my entire advance and then some to create a public television special and hire an amazing business coach who I knew could help me turn the book into a bestseller, ultimately going into an enormous amount of debt to plan a huge launch for the book. No matter what, I wasn’t going to lose this chance. Even better, Grant was in the best state he’d been in his life. His early teen years were so rocky that we ended up sending him to a residential treatment center in Utah for a year, where he worked on his social skills and learned how to manage his explosive behavior. He came back right before his junior year of high school calmer and more self-sufficient than I’d ever seen him. For the first time, Grant had his own friends to spend time with instead of just hanging around with Bryce and his group of friends. Grant even had his first girlfriend, a sweet girl named Mackenzie, whom he clearly adored. To everyone’s surprise (especially my own), John and I were getting along better than we had in many years and were slowly becoming friends. Since I was traveling so much for work, John moved back into the house to help out with the boys, and I was happy to finally be able to provide them with some stability. Of course, things weren’t perfect. Grant was still hypersensitive and had outbursts from time to time. John and I still argued. But the one area where I really felt I was failing was in my ability to be fully present for the boys. Every day I wrote in my journal, “I need to be more present for my kids.” It was the one goal I hadn’t made any progress toward. When I was working, I couldn’t focus because I was thinking about the boys. When I was with the boys, I was consumed by thoughts of work. While I made sure to show up for my kids physically, I wasn’t always there mentally. I’d spend their entire soccer games and martial arts classes sending emails from my phone. When Bryce came up to me at the end of a game, I had to quickly read the expression on his face to figure out who’d won. After Grant started dating Mackenzie, he came into my home office to excitedly tell me all about her. As he was talking, I was distracted by something on my computer. One of my staff members had shipped a case of the wrong supplement to a customer. It wasn’t until after I had rerouted the shipment and sent out a replacement that I realized I had completely tuned Grant out. He stormed off in anger. The sound of his door slamming shut made me wince. And there it was in my journal each morning: “Be more present for my kids.” For the first time in my life, I did nothing to move forward toward a goal. I knew I needed to do something about it, but I let it slide until it reached the breaking point, as if I were waiting for something to come along and force me to take action. And then, of course, something did. Grant had just started his junior year of high school. It was only the second week of school, and he had come home early, claiming that he had a migraine. My rule for the kids was that if they weren’t feeling well enough to be at school, then they weren’t well enough to go out that day. No fun after-school activities or social plans. But that night Grant said he was feeling better and wanted to go to his martial arts class. I was still at work when this happened, but John was at home and told Grant that he couldn’t go to martial arts. Of course Grant got upset, and with Grant, there’s no such thing as a little upset. He begged and pleaded, and when John stayed firm, Grant exploded. When I got home, John left to go teach a tennis lesson, and Grant immediately turned all his fury on me. “Why are you doing this to me?” he shouted. I was exhausted from a long day at work and knew better than to engage with Grant when he was in this state, so I did my best to stay very calm. “If your father says you can’t go, then you can’t go,” I told him. John and I had gotten pretty good at co-parenting, especially when it came to our backing up each other’s decisions. But no matter how calm or firm I remained, Grant grew angrier and angrier. “Grant, it’s okay,” I told him calmly. “You’ll go to martial arts next time.” But nothing would appease him. “You don’t understand,” he told me. “I’m not as strong as you think I am.” With that, he turned around and walked right out of the house in his bare feet, slamming the door behind him. I took a deep breath to calm myself. No matter how many of these scenes we’d played out over the years, I never really got used to it. They left me with frayed nerves and doubting myself every time. Maybe I should go after him, I thought. He really was upset. But how many times had I gone after him in similar situations, and what good had it ever done? Maybe the best thing was to let him blow off steam. He was barefoot and didn’t have his phone or his wallet with him, so I knew he couldn’t go too far, probably just to a friend’s house a few blocks away. He finally had friends. I decided to let him be a typical teenager for once and go complain to his friends about his bitchy mom. I went into the garage and turned my StairMaster on as fast as it would go, needing to blow off some steam of my own. After a few minutes, Bryce came in. As usual, he’d been hiding in his room throughout the whole ugly episode. He looked at me with his good-natured smile. “What a jerk,” he said, and although he was smiling, I could tell there was some pain behind his words. My heart ached for both of my sons. It wasn’t fair that Bryce had been dealing with this his whole life, but I wished he could see that Grant was just as much of a victim of his brain chemistry as the rest of us were. John came home from his tennis lesson soon after, and he and Bryce headed out to the store. I figured Grant would be home any minute and things would go back to normal, or at least our family’s version of normal. But John and Bryce didn’t get more than a few blocks from home before they saw a huge commotion in the road up ahead. Multiple emergency vehicles and police cars blocked the road, their lights flashing a warning. John pulled his car over as close as he could and lowered his window as a policeman approached. “Was it a multicar accident?” John asked, but the policeman shook his head. John looked at the blood in the road where the body had been. There were no skid marks. Whoever had been hit had been hit hard. “My son was out walking near here,” John said slowly. “Describe him,” the cop replied. John took a breath. “About six feet, two hundred pounds,” he began, but the cop interrupted him. The sun was setting by then, and he shined his flashlight into the car to get a better look at Bryce. “And looks just like him,” the cop said matter-of-factly, pointing to Bryce in the passenger seat. I immediately went numb. I felt the urgency, but the full weight of John’s words didn’t sink in. Without a thought, I grabbed my keys, my phone, and my bag with my laptop and work papers in it and walked out the door. Bryce got into the backseat, and I drove to Desert Regional Medical Center in Palm Springs while John immediately got on the phone from the seat next to me. His first call was to the hospital. “My son was hit by a car and was airlifted to you,” he said. I couldn’t bear not hearing what they were saying on the other end, but it turned out they couldn’t tell him anything over the phone. I tried to stop myself from wondering if that meant the worst possible news. When I heard the word “airlift,” I knew it was serious, but none of this felt real to me yet. “Call your brother,” I said. John comes from a long line of doctors. His brother Herbert is an immunologist, and Herbert’s wife, Joan, is the head of Washington University Hospital’s Neonatal Intensive Care Unit. They both got on the line with John and told him what we could expect and what to look for when we got to the hospital. The road Grant had been walking on had a speed limit of forty miles per hour, so we knew that if he was still alive, we’d most likely be dealing with a traumatic brain injury. When we got to the emergency room, I expected them to usher us in to see Grant right away, but instead we had to wait, just like everyone else. I sat down with Bryce in the waiting room as John went to talk to the nurses, but no one would tell him anything. We didn’t know if Grant was dead or alive. I watched the nurses carefully as they spoke to John. Their expressions were blank, but looking closely, I thought I could detect an ounce of pity in their eyes, as if they were thinking, I sure am glad that I’m not you. “It’s going to be okay,” Bryce said from the seat next to me. I looked down and saw that he was holding my hand. It was surreal to have my fifteen-year-old son console me. “A normal person wouldn’t survive something like this,” he said, “but Grant’s not normal.” A small laugh escaped from my lips as I wiped the tears off my face. Finally, a gray-haired doctor with concerned eyes came out and introduced himself to us as the head of trauma in the emergency room that night. He ushered the three of us into a small conference room. Once we were inside, I immediately panicked. This was not where I wanted to be. “What was Grant doing out on the road tonight?” the doctor asked me. I just stared at him in silence, not fully understanding the question. “He was going to a friend’s house,” John answered for me. “At what time did he leave the house?” the doctor continued. “Let me see the scans,” John said brusquely, ignoring everything the doctor had just said. John dialed his brother again and read the scans to him over the phone as I stood there, slowly taking in everything the doctor had just told us. “Then let’s put in the stent,” I said. “Unfortunately, that’s not an option in this case,” the doctor answered. “We’d have to open his chest to place the stent, and that would require the use of heparin, a blood thinner.” He gestured to the scans still in John’s hand. “Because of the injuries to Grant’s skull, the heparin would cause his brain to bleed out. We can save his brain or we can save his heart, but we can’t save both,” he summarized. I knew that time was of the essence (to put it mildly), but I couldn’t stand in that stuffy conference room for one more second with that doctor who seemed to have written my son off as dead from the moment he arrived at the hospital that night. I stormed outside and breathed in the warm California night air. What are we doing? I wondered. Maybe the doctor was right. We were spinning our wheels trying to find a solution when maybe there wasn’t a solution. Maybe my son got hit by a car and died, and that’s where this ended. Who was I to try to fix something the doctors said couldn’t be fixed? And what if they were right? What if we saved Grant’s life but he never recovered, and ended up being sentenced to a miserable life? That would probably be the most selfish thing I could do. Was that even what Grant would have wanted? The thing that scared me more than anything was the idea that I didn’t know who I was trying to save. It was pretty clear to me already that even if he lived, Grant would never be the same. If a miracle happened and Grant lived, would I be saving a person who would live a productive and happy life, a depressed young man in a wheelchair, or a stranger who would wind up severely brain-damaged and unresponsive? I tried to clear my mind and focus on the goal I’d been failing at for so long—to be fully present for my kids. As all my fears and doubts rose to the surface, I let them pass by unheeded as I focused on my surroundings and just listened. I heard the ebb and flow of sirens as a steady stream of ambulances pulled up to the emergency room entrance. I smelled the mixture of exhaust and pollen from a nearby bed of flowering plants. As I breathed in that scent, I felt the dryness of the Southern California air entering my nose and filling my lungs. As I focused on these sensations, it suddenly hit me, as clear as anything I had known before or since. I had to fight for him. I had to rise to the challenge and do whatever it would take to save my son. There was no way I would give up on Grant, no possibility of letting him go. I could waste time wishing the situation I was facing was easier, or I could step up and face the challenge. The choice was obvious. It didn’t seem like a choice at all. It might sound crazy, but the divine light of clarity that surrounded me in that moment felt incredibly peaceful. Despite everything that was happening around me, I smiled to myself, feeling relieved and happy to be standing purely in that moment. For the first time in a long time, I was fully tuned into myself and knew exactly what I needed to do next. With the confidence that I would never be too distracted for my kids ever again, I headed back into the hospital, ready to face whatever was waiting for me there. Grant needed me; I was really here now, and there was no turning back. JJ’s account of facing the unthinkable is an invaluable manual in how we can tap into our hidden strength and inner wisdom. JJ shows us through her own example how to live a better life – with courage, compassion, hope, and forgiveness. This book is Chicken Soup for Your Soul. The information in Miracle Mindset is invaluable to anyone who if facing any type of adversity, or has the desire to rise to the next level of their life and career. Inspiring. Energizing. And sincerely moving. Go ahead and read this book if you want to dial in a world-class mindset and own your field. So many of us live in fear of something terrible happening to one of our loved ones and wonder if we’d find the strength to survive in the face of tragedy. JJ faced the unimaginable with her son with grace and bravery, and in Miracle Mindset she shows how each of us can tap into our hidden strength when we need it most. In Miracle Mindset, JJ shares a side of herself that her readers haven’t seen before – vulnerable, brave, and yet wholly relatable. Mothers will see themselves in JJ as she fights for her son’s life, and readers will gain strength from JJ as they watch her do the impossible. This book is about facing your worst nightmare with courage, faith, and forgiveness. JJ Virgin isn’t afraid to tell you the truth about her own hard times and how she got through them. What would you do if you weren’t afraid? As someone who has faced numerous adversities in my life, not knowing where I would get the strength or courage to make it through, JJ’s words from Miracle Mindset are the ones I wished someone had said to me. JJ has inspired me to stay strong, take more chances, and show up in my own life. Everyone should read this book! Chances are you will experience trauma in your life. There's good news - you don't have to be held back by what happened to you. There IS another way. JJ Virgin's Miracle Mindset is a story of hope, inspiration and paves a way to turn any trauma into power. Miracle Mindset is a book about tragedy and triumph, hard work, dedication and a mother whose lifetime of service helped save her son from certain death. JJ Virgin shows exactly what it takes to step up in the hardest times and come out stronger. In a time when so much of what we see and read can be discouraging, JJ Virgin is a reminder of the very best we human beings have to offer: honesty, strength, and the willingness to step up and fight for the people we love. We hear a lot about how the hardships we face in life make us stronger, and JJ Virgin proves this to be true. She teaches us that facing our challenges head on brings out the best in us. – Dean Graziosi, New York Times bestselling author and America's Success Coach. 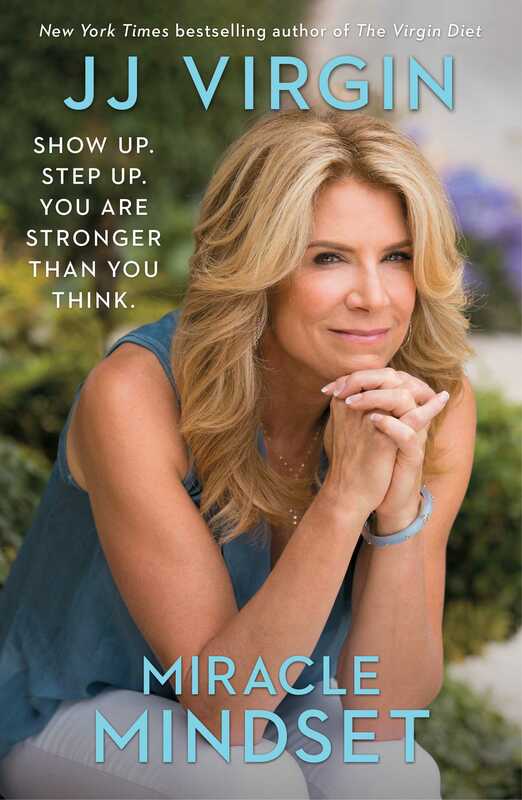 An inspiring, moving read that reminds us all what true strength looks like! A remarkable story of resilience and love. What would you do if tragedy struck your family on the very same day your life’s work was set to come to fruition? 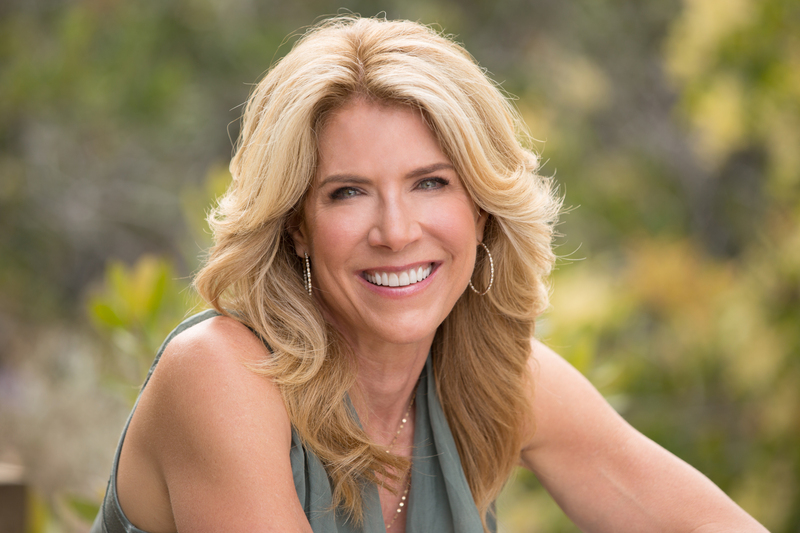 In Miracle Mindset, JJ Virgin shows us how to grow the courage to overcome anything life brings to your door. Miracle Mindset is riveting and powerful. It is a tale of a mother's unwillingness to give up on her child. The power of her stance makes the entire universe bend into a wonderful outcome. This book is a must-read with twists and turns that really make us think about life. So many books tell us to be strong in the face of adversity, but in Miracle Mindset, JJ Virgin shows us how. JJ faced the unimaginable with her son, she did it with grace and bravery, and in Miracle Mindset she shows how each of us can tap into our hidden strength when we need it most. JJ Virgin is the most courageous person I know, and her courage is contagious. No matter what challenges you’re facing, JJ’s amazing story will inspire you to stay strong and hopeful—and her “miracle mindset” will empower you to live a better, braver life. Anything with JJ Virgin's name on it has my vote. She has changed the way I think of food, eating and nutrition and her ideas have added years to my life. But with this book, JJ reveals a whole new side of herself and the story and lessons of the battles she went through to save a son's life and juggle a formidable career is filled with beautiful, empowering lessons for every person on the planet who has at anytime felt like giving up amidst tragedy, or been unable to imagine how they could succeed despite overwhelming odds. This book will show you just how powerful love can be. Miracle Mindset is a story of tragedy and triumph and the road map for each one of us to follow in our own journey through tough times to a stronger and greater place in life and in ourselves. This is a book you not only read, this is book you live. You will so grateful for the gifts in this book that you will want to come back again and again. You won’t find a better example of how faith and courage backed with family and friends' support can carry us through the unthinkable. By the end of the book I was crying, I was cheering, and I was deeply inspired to follow JJ’s lead. – Mark Hyman, MD, Director, Cleveland Clinic Center for Functional Medicine, #1 New York Times bestselling author of The Blood Sugar Solution and The 10-Day Detox Diet. JJ is the best kind of coach: one who walks the talk and isn't afaid to tell you the truth about her own hard times and how she got through them. Absolutely breathtaking! A must-read for not just parents, but all of us who struggle to bring our full and best energy to each moment with those we love. The Miracle Mindset is at times heartbreaking and dramatically uplifting, guiding the reader on a deeply personal journey with the essential tools required to build their own radical resilience. An honest and powerful testimony of post-traumatic growth in action.